These are the benefits of dealing with a licensed automotive business. Licensed businesses follow a high standard of professional conduct. Salespeople who work for licensed sales businesses must attend training to learn how to follow the Fair Trading Act. Licensed dealers provide full disclosure. Licensed dealers advertise according to government guidelines. Licensed businesses are inspected by AMVIC. Consumers can ask AMVIC for help if a licensed business does not operate lawfully. A Consumer Compensation Fund is available to the customers of a failed licensed business. Consumers are not protected if they buy from a private seller or curbsider. Look for the AMVIC logo posted on a business window or door. Look for the AMVIC licence displayed inside a business location. Look for advertisements that display the AMVIC logo. Use the Search for a licensed business or Search for a registered salesperson tools on AMVIC’s website. Who is AMVIC and what do they do? License businesses that buy, sell, lease, consign or repair motor vehicles. This includes businesses dealing in recreational vehicles and heavy duty trucks. Investigate consumer and business complaints. Administer a compensation fund to assist consumers. AMVIC strives to provide a fair marketplace for both consumers and businesses. 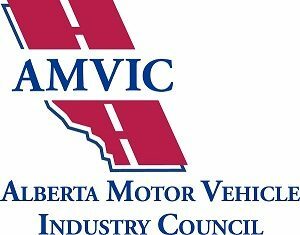 A completed “Mechanical Fitness Assessment” form is required for all used vehicles sold by AMVIC licensed businesses. This standardized form replaces the old “Certificate of Mechanical Fitness” and a myriad of other different forms that were being used by businesses. Using this one standardized form ensures the same process is utilized for the assessment of all used vehicles. AMVIC enforces the use of the “Mechanical Fitness Assessment” form. This form must be used by all dealers and must be given to every consumer prior to entering into a purchase contract.